Spring is finally here, and so is allergy season. Whether you are providing care for your elderly loved one, or (s)he is in the hands of a caregiver, it is important to take the proper precautions to avoid any allergy-related complications this spring. The following are a few pointers on how to reduce exposure to allergens and maintain a healthy environment. Allergens that are often trapped inside homes include: pollen, mold, dust mites, and animal dander. For seniors (especially those with respiratory and other chronic illnesses), common allergies can cause serious health complications. Box springs: When cleaning your sheets and pillowcases, vacuum the box spring in order to eliminate any excess dust and allergen build-up. Rug bottoms: Often times, area rugs are moved out of the way to sweep and mop underneath. Make sure to wash or vacuum both sides of the rug frequently, as they trap dust. Window and door tracks: These are often times overlooked, but serve as prime spots for mildew and mold to grow. Spray the track and wipe it clean to avoid exposure. Pets: Pet dander is a common allergen. Avoid letting your pet in your bedroom; wash and brush your pet frequently and keep litter boxes clean and isolated from the rest of the home. Bathrooms: Keep bathrooms clean and well-ventilated to minimize the presence of moisture and mold from building up. Limit the use of ceiling fans and windows. Windows bring in pollen from outside, while ceiling fans circulate it throughout the home. Avoid hanging clothes to dry outside, as allergens may collect on the items. Bathe after coming in from a day outside to remove any allergens that may be trapped on skin and hair. Medications: WARNING: Over-the-counter allergy medications may have harmful effects when combined with other medications. Before providing your loved one with allergy medication, contact his or her physician. 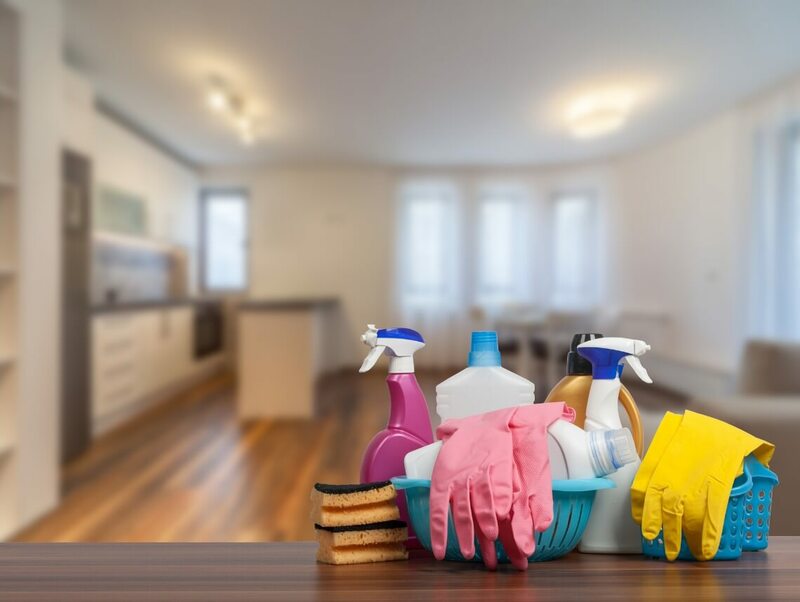 Consider using non-toxic cleaning supplies and avoid using bleach, ammonia, and other products that can irritate allergies and respiratory systems. If you think your patient or loved one may be experiencing allergies, contact his or her physician. Often times, senior citizens have more than one medical condition; therefore, diagnosing allergies may be complicated.